Big ups to Lynn for giving us some photos she took from her plane a few days ago. These will give you a fair idea of how we're situated. 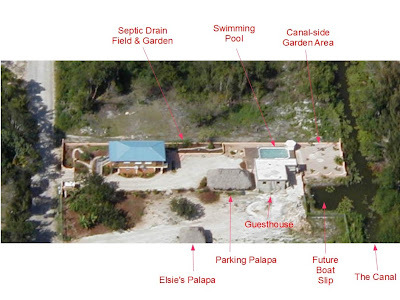 First off is the property itself. I've labeled most of the major features for you convenience. 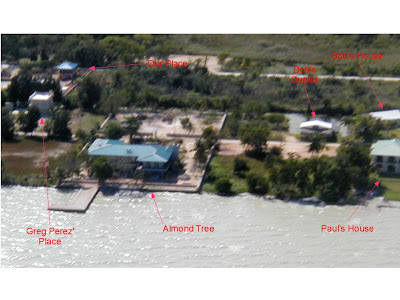 This one shows our location in relation to the bay itself. 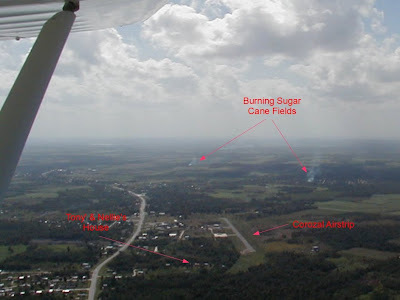 Here's a shot of the Corozal airstrip and also shows Tony and Nellie's place adjacent to the airstrip. We lived in their house for six months when we first moved here. 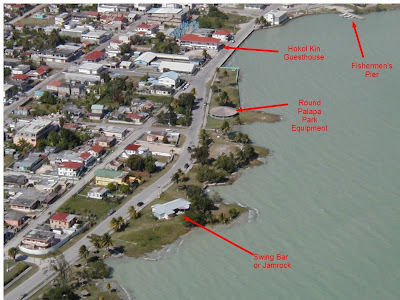 This is a nice shot of the Corozal waterfront. The girls and I walk along this street every morning - unless it rained enough to turn everything to muck, then we skip that day. Wow! Great Pictures Dave. Thanks to you and Lynn. I was not aware you were so close to the bay. Pictures put alot into perspective. Hope your 4th is a safe and happy one. Most nights we can hear the waves breaking against the shore. I trust your 4th was the same.